Deep Roots Mountain Revival has revealed headlining acts Thursday, Friday and Saturday night. Join us July 20-22nd for a weekend of premium music and family-friendly fun! 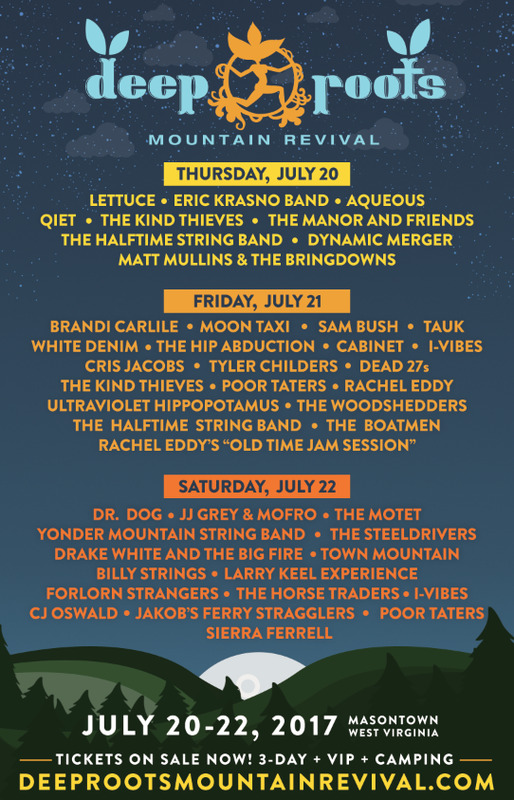 Deep Roots Mountain Revival is proud to announce the initial lineup for its second annual music and arts festival happening July 20-22, 2017. Headliners Brandi Carlile and Lettuce will be joined by JJ Grey & Mofro, Moon Taxi, White Denim, Drake White and the Big Fire, TAUK, The Hip Abduction and many more. Americana-Folk quintet Forlorn Strangers are celebrating the upcoming release of their self-titled debut full-length album with the premiere of their first single, “Bottom of the Barrel”, today on Live for Live Music. Forlorn Strangers has announced the release of their self-titled, debut full-length album on August 5, 2016.